Looking to integrate expense management beyond just your general accounting system? Need something more customized to fit your unique data set? Concur works with your financial, HR and other business-critical systems with a range of tools to meet your specific needs. With a complete set of travel and expense and financial data, you can take advantage of all the features of your ERP system, like payment, invoicing and reporting functionality. Shorten implementation time and integrate Concur Expense with the specific file structures, processes and protocols of your ERP system. Eliminate errors and delays of manual exports. Once expense reports are approved, Concur Financial Connectors send full expense details to your ERP system. 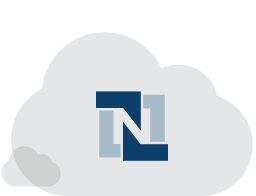 Concur and NetSuite – Cloud-to-Cloud Integration. With Concur® Connector for NetSuite, financial integration is simplified and streamlined. Once an employee’s expenses are approved, they become visible in NetSuite and allocated with appropriate expense codes. The Concur Connector for NetSuite is a packaged financial connector that ensures expense-related information captured in Concur is properly posted to NetSuite ERP. It is a cloud-to-cloud connector, allowing you to schedule regular updates without downloading files or manual updates. It’s simple to activate and requires no custom coding, so you can be up-and-running quickly. Concur Financial Connector – for use with SAP® solutions. 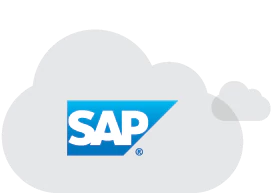 This offering simplifies integration with SAP solutions through the use of pre-built connector templates designed around SAP file structures, making the exchange of data easy, quick to deploy and without significant configuration required in either Concur or with SAP solutions. 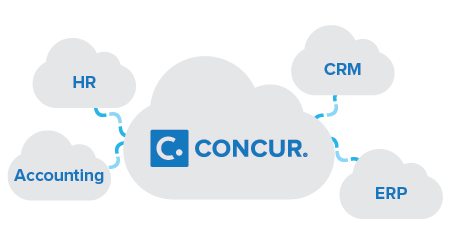 The Concur Financial Connector with support for SAP is a bi-directional integration solution that ensures expense-related information captured in Concur is properly posted into SAP solutions. A platform dedicated to your unique requirements. Sometimes you need something beyond our suite of integration solutions. We provide an open set of web services APIs and developer resources on the Concur Connect Platform that allow you to create innovative solutions to your own unique challenges. By combining your internal expertise with Concur and third-party professionals, we can help you meet your specific business needs.